The Lil Wayne welcome back party tour continues. Last weekend it hit clubs in Miami. This week it moved to New York. Some of the R&B industry's most fabulous New Yorkers had welcoming words for Wayne upon his release after eight months in Rikers Island, while partying at ConcreteLoop.com's re-launch celebration at the Hiro Ballroom. DJ Tyger Lilly kept the beats flowing in the smoky room underneath the Maritime Hotel and Keri Hilson stopped by to perform. The fashionable guests included actors, musicians, and writers -- many of whom are among the few in this world who can get away with wearing sunglasses at night. Rapper Jim Jones said prison has probably impacted the Weezy's music. The bash was hosted by Kodak and Concrete Loop, an urban music blog started by Angel Laws. The hip-hop guru looked fabulous draped in fur and dished on her own prediction of what's to come. Artist Kevin Rudolph, whose debut single "Let It Rock" with Lil Wayne went triple platinum, was in downtown Miami for Wayne's private welcome home party on Sunday night after spending a stint in prison. On the Cash Money Records red carpet, he talked his career with Weezy, his future plans with the rapper and his plans to not make this Magic City trip his last. 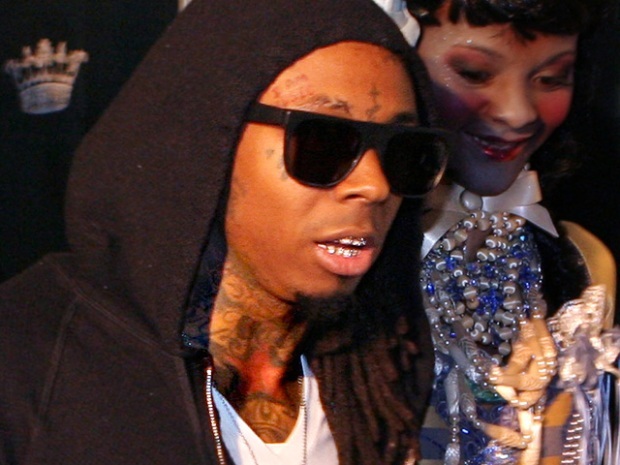 “[Wayne's] got Drake and Nikki Minaj on his team, so he's about to take over,” she said.